The adventure yacht was first revealed as a concept at the 2015 Miami International Boat Show. 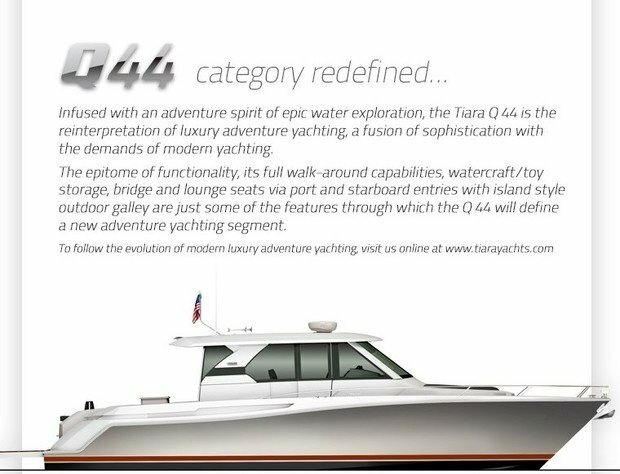 The first profile and layouts of the all-new Tiara Q 44 was announced by Tiara engineers and designers and will be available in Egypt through Marine Center International, exclusive dealer for Tiara yachts in Egypt. The adventure yacht, first revealed as a concept at the 2015 Miami International Boat Show, targets a sector of the market moving towards more outdoor entertainment and offers a generous amount of open space to bring along a large group of friends or family. The Q 44 project is designed around the very successful Tiara 44 Coupe hull, although the luxurious interior living spaces are traded for more wide open deck and exterior seating while the over-nighting features below are softened a bit. “This new Tiara Yacht is built to expand the latitudes of what you can do on the water and enhance the yachting experience. The outdoor entertaining and socializing were first and foremost in mind when we engineered this new DayYacht,” Tom Slikkers, President, S2 Yachts. The single level deck lets you enjoy the Q 44 from the designated Island galley in the cockpit all the way to the bow. There you will find a cushioned love seat as well as additional cushioned house seats that make the area more than just another place to anchor and throw lines. It becomes a space where family and friends can post up and enjoy the outdoors. The bridge deck opens to the cockpit and features two electrically-actuated sliding doors port and starboard. The doors, when closed, provide weather protection from the elements during the run to and from your destination and allow guests to freely move throughout the bridgedeck, cockpit space and bow areas. The beauty of the exterior layout is that it can accommodate a large group of people and everyone can find room for their favorite activities and enjoyment. Underneath it all is the solid heritage of Tiara Yachts. The build, the blue water performance of the 44 hull, and the quality in craftsmanship synonymous with the Tiara brand. Hull number one of the luxury day yacht will be powered by Volvo Penta’s IPS system, complete with joystick driving and glass cockpit. The Q 44 will also be available with straight drives featuring joystick docking at a later date. Performance is expected to match that of the Tiara 44 Coupe. 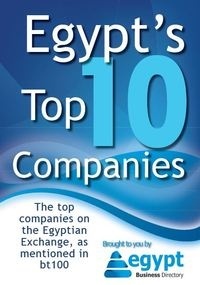 The Q 44 is expected to debut in early August and will be available in Egypt through Marine Centre International’s HQ in El Gouna.